- Made of sturdy metal frame, magnetic darts, and glass shot glasses. 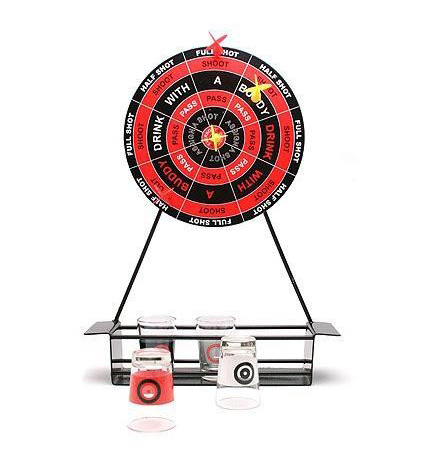 - Game consists of: 1 metal dart board, 4 shot glasses, and 4 plastic magnetic darts. - Party on with this dart drinking game! Perfect for your man cave, bar, or game room. Great for numerous occasions like: holidays, bachelorette, bachelor, or birthday parties. - This drinking game is intended for Adults over 21 years old only!